This online platform, founded and owned by black and women entrepreneurs in the East Bay, was introduced to more than 40 local community members during the design process, including project managers with the Watershed Project. These people populated a map of the neighborhood with places of value, opportunities and challenges, as well as locations of regular flooding. 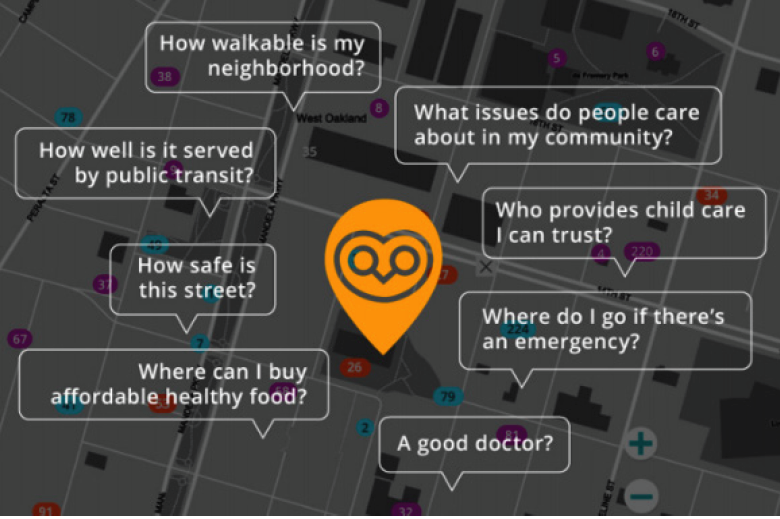 An interactive tool that allows community members to communicate with broader data information, this tool is still open and available for use by the community through the Streetwyze website. It is targeted to become an app available in the future. Go to streetwyze.com to learn more.